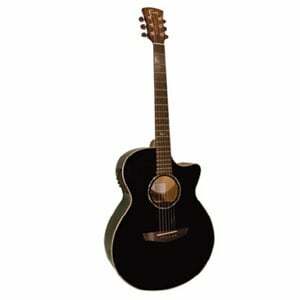 The Faith Guitars® Eclipse is all Solid and is designed with Stage presence and Flexibility in mind. Gifted performers, the Faith Eclipse series use the same Solid Spruce and Solid Mahogany as the natural series, but are finished in gloss black. This black lacquered finish helps produce a rich yet more linear tone ideal for reliable stage work. The choice of numerous artists across many musical genres, the Faith Eclipse series have proved themselves truly flexible performers.